On March 25, 2014, the portal to Dr. Landelbrot's spaceship finally opened - he was working on repairing his Random Events machine, a confusionator, but needed help to finish it. Dr. Landelbrot is asking for help to build three different components to fix his machine. Your job is to venture out into Neopia, find the items he requires, and return to hand them off to Landelbrot to build all of his components. This step is very much like a Faerie Quest. After turning in the console piece, you will be locked out of completing another quest for a while. This appears to vary between 17 minutes and 12 hours. The aim of the quest is to collect all of the 10 console pieces and build the three components. Upon collecting console pieces, you have a choice. You can either construct each of the three components individually, and get a prize from each. Or, you may wait until you have all 10 console pieces and combine all three components at once - this will get you a single special prize. Keep in mind that you can only do one or the other, you cannot claim the three smaller prizes and then claim the single prize. After completing all components (either all at once or individually), you will be awarded up to two additional prizes and an avatar. 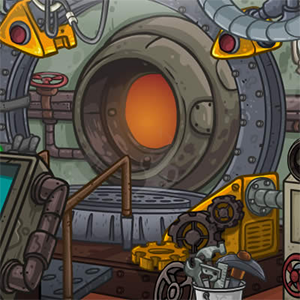 Note: It is believed at present that in order to qualify for the Petpet prize, you must have completed all of the Portal Activation Centre puzzles, while completing all components is required for the wearable. Day of completion does not appear to matter. 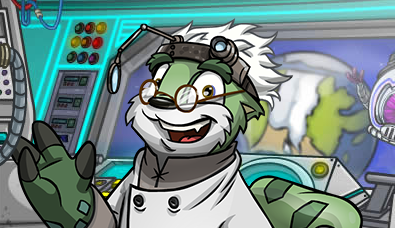 At the conclusion of the event, the doctor turned the confusionator into a new daily.